FOX news “fair and balanced?” Seems a bit one-sided to me. Hi Andrew – many thanks for that very generous review – I always find it interesting to see which aspects of the book people pick up on, and the extent to which it matches their own experience. You raise some really good points and I will add a post later this weekend linking to your site. Hi Richard – what news from the flashmob. Can you call me? I think you should disassociate yourself from those posting on Indymedia with violent threats to attack her property and puerile abuse against her. They are not only wrong they damage the image of campaigning. Thanks for letting me know about the threats – I’ll deal with this now. And I agree that this will be huge victory if it’s confirmed! Maybe they could enter their work in our alternative prize instead?! Hi Richard. 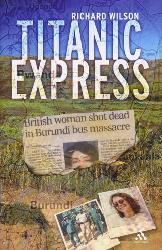 I just read Titanic Express and suffered with you through those tragic events. I wanted to read it as I have a former U student from Burundi who escaped via Tanzania and is now here in Mozambique. You said that “without justice, forgiveness will be impossible….” But Christian forgiveness doesn’t insist on justice, it leaves it to the one who will ultimately judge all men. If we insist on justice, forgiveness will never happen and we will be caught in an unchanging circle of violence. jesus says forgive if you want to be forgiven. It’s the only way we can escape our inner hatred and rage. I appreciated your honesty about all the inner junk that really made you and that make me little different from the perpetrators of the crimes you struggled with in Titanic Express. What will make a difference is forgiving. 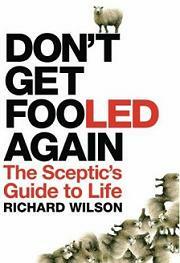 Hi John – thanks for reading the book and for your comments. I think the really important distinction here is between justice and revenge. Revenge generally means responding to cruelty with more cruelty. Justice means holding people to account for their actions through a fair and open process of law, and where guilt is established imposing an appropriate penalty in order to deter others and prevent further harm. As I mentioned in the book I oppose the death penalty, and I’d add that where possible I believe that penal systems should give prisoners more constructive ways of repaying their debt to society than simply whiling away their life in a prison cell. But there is a reason that every functioning free and democratic society in the world operates a system of criminal justice, which involves punishing people when they commit terrible crimes – human nature is imperfect, but human beings also respond to incentives. Societies which impose no penalty on the commission of extremely violent crimes, or do so only very selectively (Burundi arguably belongs in the latter category) tend to experience far more of those sorts of crimes than societies which enforce the rule of law. More insidiously, in societies where extreme brutality is tolerated, violence itself can become a means of self-advancement, with the most brutal and violent elements rising to positions of power and staying there. Again, we see this very clearly in Burundi. Lastly, I think that all people with a stake in a situation like Burundi, but perhaps especially Christians, have a duty to avoid succumbing to the political rhetoric of politicians who appropriate the language of forgiveness insincerely, as a means of winning plaudits internationally and evading responsibility for their mistakes and failings. Burundi’s current President came to power speaking often of the need for “forgiveness”, and was internationally feted for it eg: http://agathonrwasa.blogspot.com/2008/04/rhetoric-versus-reality-burundis-leader.html- yet under Nkurunziza’s rule violence and brutality have continued, and in some ways the human rights situation is worse now than it was in 2005. In most democratic societies, the track record of someone like Nkurunziza (along with many of his henchmen) would have barred them from office – but in Burundi, because of the lack of any judicial screening process, a great many people with blood on their hands continue to hold positions of power, and continue to commit abuses. *Is it not folly, therefore, that in these circumstances anybody should seek to revive the wounds and grievances of the past? The wrongs of the past must now stand forgiven and forgotten. * That was from a speech by Robert Mugabe, on April 17th 1980. As with Burundi, the country has been plagued by political violence ever since, fuelled by a culture of impunity. “Motion on Funding: Bob Leppo moved that RA board authorize the RA foundation to make grants for a wider range of purposes, including films and video. Seconded by Charles Geshekter. Funding for each project would still have to be approved by a 2/3 majority of the board. Board members involved in a project would recuse themselves from such decisions. Unanimous agreement.